I am that cool lady that goes by the name of Trina. Come with me as I embark on my business venture Locks 4 Life Atlanta. I will use this blog to share my experiences in business, life, and just plain ole vent when I need to. So enjoy! 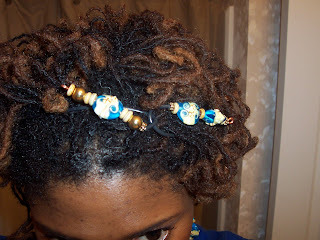 If you are looking for a loctician check out my website www.locks4lifeatlanta.com. Atlantis is hot, just got mine in the mail an can't wait to wear it and aslo blog about it. 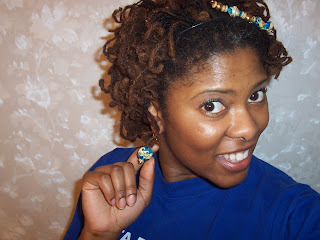 You are wearing the Atlantis like a Proud Zeta Lady! 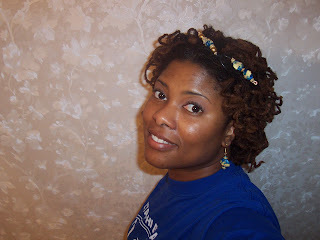 Looks Fabulous on you SOROR! The Atlantis and your locks look fabulous! Work it girl! "Big Curls Don't Cry" this is a "posting" month for me, and I might not post again until Aug. Thank you so much. You are working them like a true diva. I'm so glad you like them. I'm made I just came by this post today. Shame on me for not getting out more in the blog world. I'm making a new rule. Those with TTs must let me know when they are blogging. I'll include this in my links of Ladies Wearing TTs. Thank you so much again for your love. 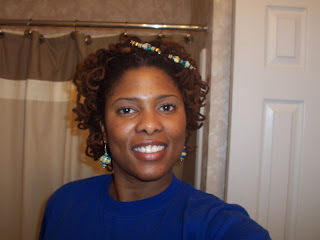 My mother's a Zeta from Fayetteville State. She's gets together with her sorors each month. She made some Zeta pins for them as party prizes/favors. I went to VCU = no football team, at the time the basketball team wasn't in the big division, no marching band, and I think I saw AA Greeks about twice my whole four years. I miss it, but now I try to make A&T and WSSU games just for the marching band. 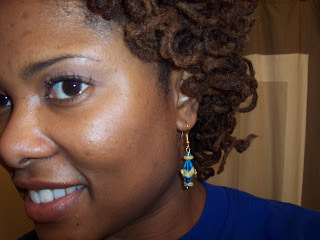 I just started my locs here in FL. and the humidity is not kind. How can I get them to lock faster? Any tips? Well from my knowledge there are no miracle accelerates to help your babies lock any faster than what they are. There may be some products that claim to accelerate the locing process but they come at a price. They either zap your hair of moisture leading to hair loss or cause build up. This journey is built on patience and if you don't have any your babies will teach you very soon.